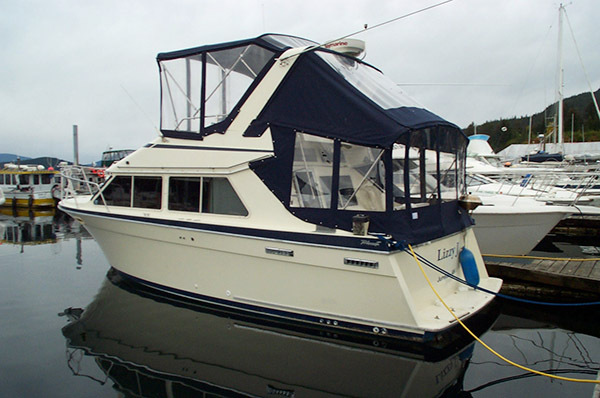 This is a Full Enclosure for a yacht in Juneau, Alaska. 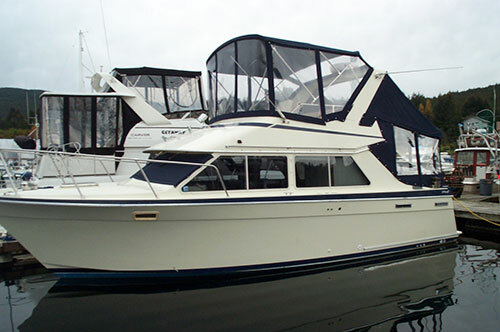 Frames where bent of stainless steel tubing and top, side curtains, windshield curtain all with vinyl windows and doors that roll up plus the aft deck enclosure. A big job!